Students are put through a rigorous journey based on the 6-stage Skillseed framework ™* - connecting real world entrepreneurial concepts and their application for social impact. Our alumni join a community of self-starting youth embodying resilience, empathetical awareness, and an innovative approach to solving the problems of the future. what do participants stand to gain from a skillseed experience? An applied methodology for development, sustained and anchored by communities diverse assets. A process combining business-hypothesis-driven experimentation, iterative prototypes, feedback and refinement. The Skillseed Challenge entails students developing prototype solutions in the form of a Minimum Viable Product (MVP), and refine them with the input of host communities and other stakeholders. Gain exposure and sample aspirations beyond the classroom - leverage and learn about passions to make an impact. Learn from and connect with everyday heroes around the world while working together to co-construct deep, measurable outcomes. "Skillseed has helped me realize what my strengths are and how I can use them for causes I'm passionate about. Most importantly, constantly being surrounded by inspiring individuals and organisations reminds me not to settle for anything lesser than what I'm capable of." After graduating with a degree in Life Science from NUS, Hema made a bold pivot, inspired by her experiences leading overseas community service programmes in Sri Lanka. Driven by a passion to encourage school volunteers to do good better, she joined the team and recently launched social impact project Vaangae Anna, which was recently a recipient of A Good Space's A Good Pitch grant. Following their experience in Silicon Valley, this passionate group of girls from Methodist Girls' School launched HorizonsSG, an accessible platform for teenagers to connect with and contribute to causes they are passionate about. They were also short-listed as finalists in A Good Space's A Good Pitch grant competition and were the youngest participants (at 16 going on 17) to take part! Enterprising and meticulous with a heart for people with special needs, Wei Jie was inspired by coffee culture during his exchange in Amsterdam. After graduation he launched Foreword Coffee, a social enterprise empowering coffee crafters by building relationships with coffee producers and creating equal opportunities for differently-abled persons. 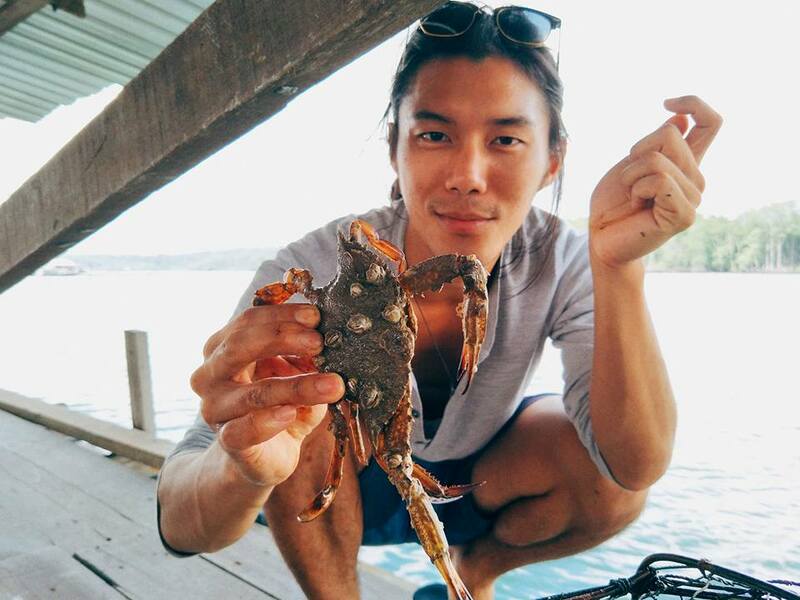 No stranger to the path less-travelled, Marcus cycled overland from Singapore to Thailand in his freshman year at Yale-NUS, spent months on a farmstay in Japan, and is currently a farm manager at Onhand Agrarian, which is designing and building systems to raise and harvest seafood more efficient, cheaply, humanely, cleanly and profitably than before, and the world's first farm using Integrated Multi-Trophic Recirculating Aquaculture Systems for tropical marine species. *All rights reserved. No part of this document may be reproduced or transmitted in any form or by any means, or stored in any retrieval system of any nature without prior written permission.